The 2014 Healthy Company Index, hosted by Discovery Vitality, indicated that healthier companies show lower absenteeism rates and more productivity levels than their unhealthier competitors. 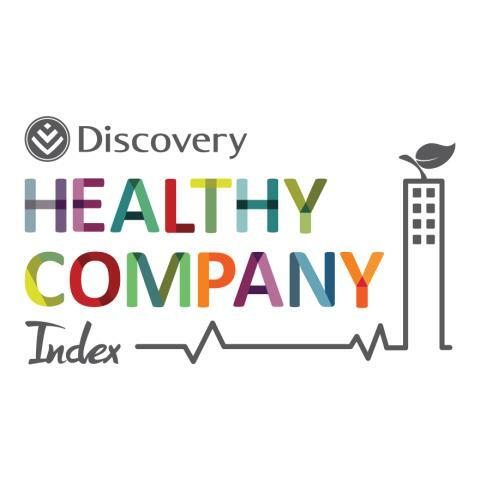 Top honours were taken by Vital Health Foods, Johnson Matthey SA, and Hatch Goba (PTY) Ltd in the small, medium, and large categories of the 2014 Healthy Company Index Awards, hosted by Discovery Vitality. The official rankings, as well as the overall results of the Healthy Company Index survey, were revealed at an awards ceremony where winning companies were recognised for best practice in health promotion initiatives in corporate South Africa. “We have moved beyond the point of defining return-on-investment and impact on absenteeism and prioritising the health of our workforce is good for business and critical for society,” says Dr Craig Nossel, Head of Vitality Wellness. “A trend that emerged from the 2014 date is that we’re seeing a significant shift in how employee health is viewed by companies globally – there is increasing focus on improving and managing health and wellbeing, and how this is affecting their bottom line,” he adds. According to Dr Nossel, this is largely due to the worsening and alarming general state of health around the world, in particular with chronic diseases of lifestyle. The risks of chronic diseases of lifestyle – including diabetes, cardiovascular disease, chronic respiratory conditions, and certain cancers – play a significant role in employee illness and absenteeism – as well as reduced levels of workplace morale, engagement, and productivity. Research has shown, though, that these diseases of lifestyle can be largely mitigated through tailored interventions to promote a healthier diet, increased levels of physical activity, and regular health checks. Since people spend a great deal of their lives at work, and work significantly impacts stress and lifestyle, employers have a unique opportunity to positively influence their employees’ ability to make healthy choices and help them to manage stress and reduce illness. Based on this year’s Index results, recommendations for a healthier workplace include implementing canteens that offer healthy, affordable food and drinks that are subsidised where possible. In addition, having flexible work hours to allow employees to be active before or after work and recruiting health ambassadors or advocates to champion corporate wellness goals will help an organisation to lead the way when it comes to the health and wellbeing of their staff. - Medium: Johnson Matthey S.A.
“We look forward to our ongoing role in encouraging behaviour change of large sections of the population through these types of initiatives and encourage all companies to be part of the next Discovery Healthy Company Index,” Dr Nossel concludes. 67 companies participated in the 2014 survey with health information from 14 460 employees across South Africa. Of the respondents, 61.6% were women and 38.4% were men and most survey participants were aged between 18 and 40. The Discovery Healthy Company Index was first launched in 2011 and has grown in stature with rollout to employers in Britain through Britain’s Healthiest Company.